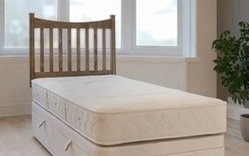 Our full range of quality divan beds come in any custom size and height you need. 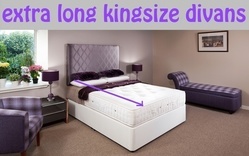 Whether it's an extra small bed, narrower, higher, lower or longer bed tell us the dimensions and shape and we will make you the ideal one for your room. Due to our customisable manufacturing process all our beds can be tailor made so whichever one you choose you are assured of a fine hand crafted product at a very competitive price. We can also reinforce bed bases suitable for larger people or for heavy duty use and bases can be customised in most fabrics or even your own fabric if you prefer. 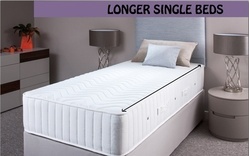 We are a family firm established in 1975 and pride ourselves in making high quality comfortable mattresses and divans at realistic prices. 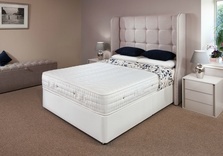 Our highly skilled craftsmen use the finest and carefully selected materials in each mattress and divan base they make. Come in and see us, phone or email to discuss and see what we can do for you. We deliver throughout the UK including to London, Edinburgh, Manchester, Birmingham, Liverpool, Newcastle, Cardiff, Glasgow, Aberdeen, Kent, Surrey, East & West Sussex, Suffolk, Hertfordshire, Bedford, Buckinghamshire, Berkshire, Oxfordshire, Cambridgeshire, County Durham, Lincolnshire, Wiltshire, Hampshire, Somerset, Dorset, Devon & Cornwall, Gloucestershire, Cheshire, Shropshire, the Midlands, Norfolk & East Anglia, the North West of England, Strathclyde, Lanarkshire, Perthshire, Argyll & Bute and the Highlands of Scotland. We can also ship to mainland Europe.